BetweenMirrors.com | Reflections In Art + Culture: Zombie Boy x Rick Genest x Rico the Zombie "How Do You Judge A Book? 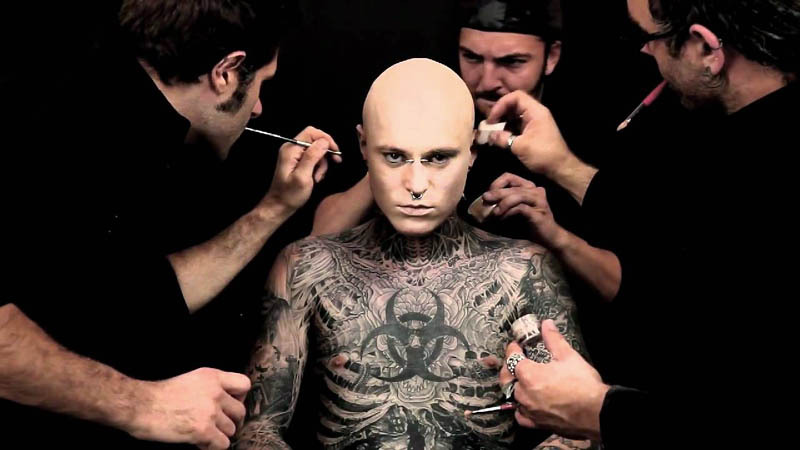 Zombie Boy x Rick Genest x Rico the Zombie "How Do You Judge A Book? Former sideshow performer, Rick Genest A.K.A. 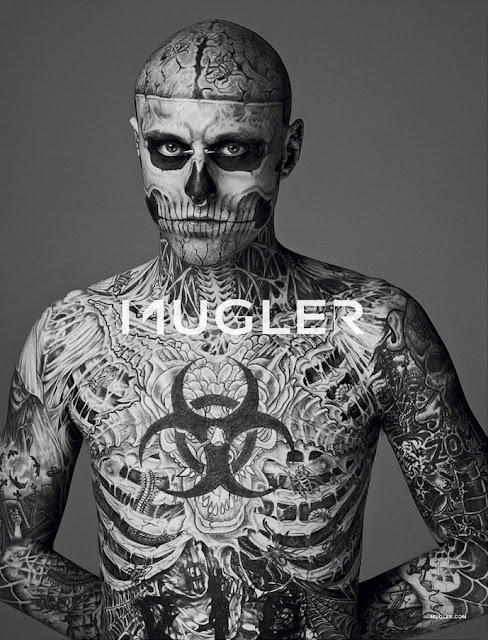 Rico the Zombie Boy; best known for his lead role in Lady Gaga's "Born This Way" video and as the new face for Thierry Mugler's latest collection, goes back to a blank canvas in DermaBlend's new "How Do You Judge A Book?" ad campaign.